Last spring when Coleton Benham was searching the web for financial literacy resources for kids, he came across Money Matters, a financial literacy program created by ABC Life Literacy Canada and sponsored by TD Bank Group. A few phone calls later and Coleton was chatting directly with Carissa Di Gangi, the program coordinator at ABC. After Coleton discovered that Money Matters was just for adults, he wondered if ABC could create a unit for kids. It was a great idea, but ABC’s mandate includes adult learners and families, so the idea of a unit just for kids just wasn’t possible. Flash forward a few months to August when the ABC team began brainstorming for creative ways to celebrate Financial Literacy Month in November. 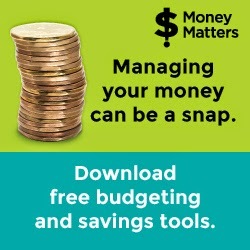 Carissa mentioned her conversation with Coleton and thus was born Financial Literacy for the Family, a new Money Matters activity booklet developed for families to learn about financial literacy together, launching November 2014. Coleton was brought on board to evaluate the activities to make sure they appealed to kids like him. Coleton thinks it is a great idea to have activities that allow parents and kids to work through financial problems and learn together at home. He really likes the activity that prompts you talk about where you would spend your money. Financial Literacy for the Family is a free activity booklet and is available for download from the MoneyMattersCanada.ca website. Coleton is going to make sure he shares it with teachers at his school and his friends. Like all kids, Coleton has his favourite things to spend his money on, like slushies and hockey equipment. But he also uses his savings for a campaign he has created: BRUSH, BOOK, BED. Coleton donates his own money to buy toothbrushes and pajamas to help less fortunate kids have some of the basic necessities for a good night (clean teeth, a good book to read, and cozy pajamas). He fundraises at school and gets corporate donations to help as well. Where else does this 9-year old’s money go? To university and college savings – and his parents help with that too – he wants to have lots of opportunities to choose from in his future. With his love of math, entrepreneuring spirit and caring for others, there is no doubt that Coleton’s future will be bright and full of choices.